Dec. 20, 2016, OAKLAND — A prep cook for Gordo Taqueria restaurants filed a class action lawsuit Friday on behalf of about 75 current and former workers for the popular chain, which operates in six locations in San Francisco and the East Bay, alleging it didn’t pay out tips to its employees or pay overtime as required by law, among other violations. Plaintiff Jose Martinez, who is represented by Legal Aid Society-Employment Law Center, claims that in some cases Gordo Taqueria paid out tips as infrequently as once a year; California law requires that tips be paid out no later than the next regular payday. Martinez also claims the restaurants used some of the money to cover business expenses and disbursed pooled tips to those who were not in the line of service. “We hope this case raises awareness around how tips should be handled and paid, both for the many low-wage workers in the service industry who rely on them, but also for customers who assume their tips will end up in the right hands,” said attorney Mana Barari. Martinez is seeking class action status for the lawsuit, filed Dec. 16 in Alameda County Superior Court. The lawsuit, which follows a similar one filed in September on behalf of workers at Burma Superstar restaurants, highlights an unfortunately common pattern in the restaurant industry of relying on immigrant workers who may be unaware of their rights. LAS-ELC delivers on the promise of justice for low-income people. We provide free direct services to about 3,000 people each year through our clinics and helplines. We also deliver extensive legal information online and in trainings, we litigate individual and class actions, and we advocate for new policies and laws. 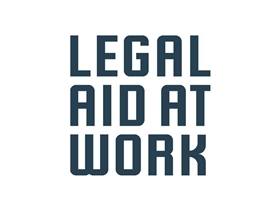 For details about this case and our work, please visit http://www.legalaidatwork.org/ .